Brief Answers To The Big Questions - ubiq bookshop: the best place to buy books! Professor Hawking was a brilliant theoretical physicist, an influential author and thinker, and a great popular communicator. Throughout his career he was asked questions by business leaders, politicians, entrepreneurs, academics and the general public on a broad range of subjects, from the origins of the universe to the future of the planet. Brief Answers to the Big Questions brings together his thinking on the most timeless and the most-timely questions in science: Where did we come from? What is inside a black hole? Is there other intelligent life in the universe? How will we survive on earth? How can we colonise space? Will we ever be able to go beyond the Solar System? For both the scientific and the intellectually curious, this book celebrates the mind, humour, and achievements of one of the most inspiring figures in recent history. 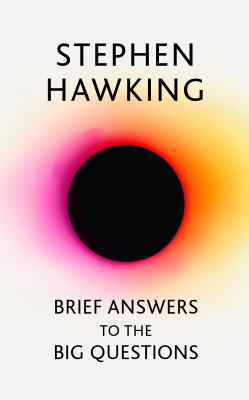 The book will include an Afterword from Lucy Hawking and a percentage of all royalties will go to the Motor Neurone Disease Association and the Stephen Hawking Foundation.